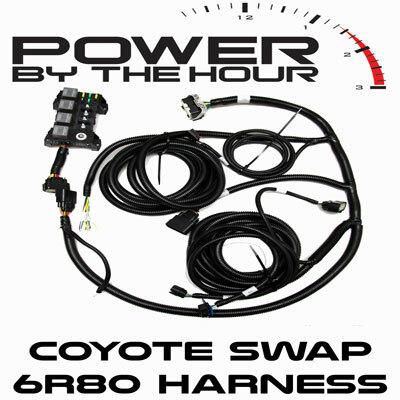 When using our Powertrain Control Pack’s or harnesses you will have a direct speedometer signal blunt lead. 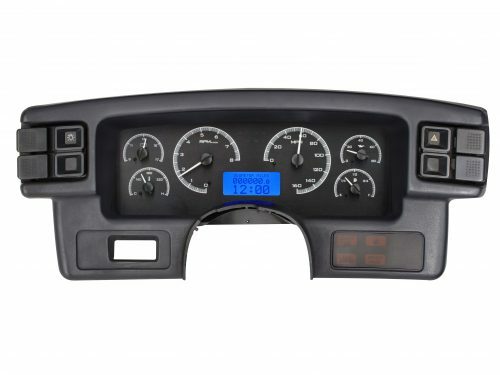 These blunt lead’s will provide the factory speedometer signal which does not work direct on any aftermarket or even older oem instrument clusters. 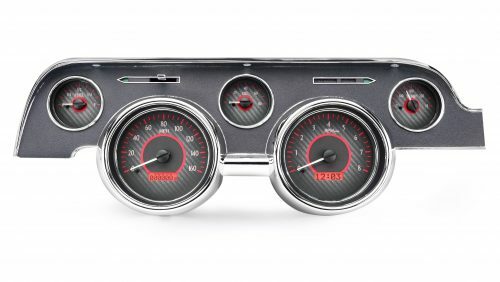 The signal needs to be converted to whatever the present speedometer gauge uses for its reading. 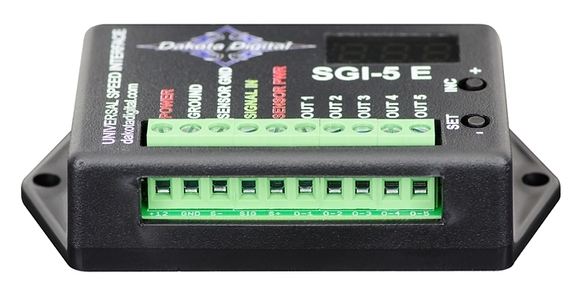 Dakota Digital offers this box and it makes the conversion really easy which is why we offer it. 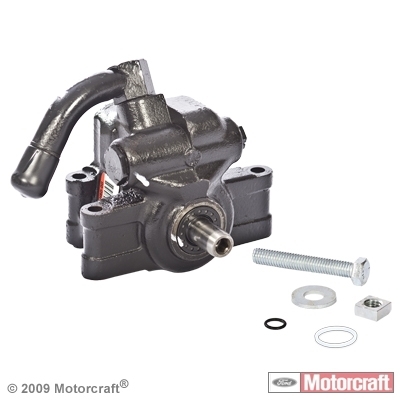 Input the oem signal from the harness and adapt it to whatever your gauge needs to get the speedometer working perfect. 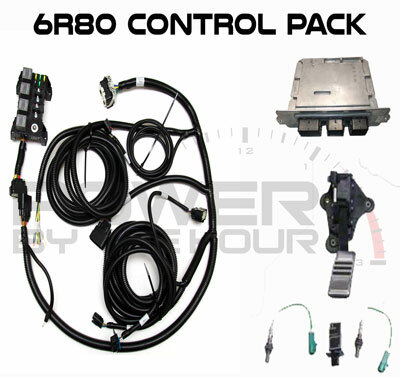 The Universal Signal Interface Unit can handle nearly all of your electric speedometer signal conversion and calibration issues. 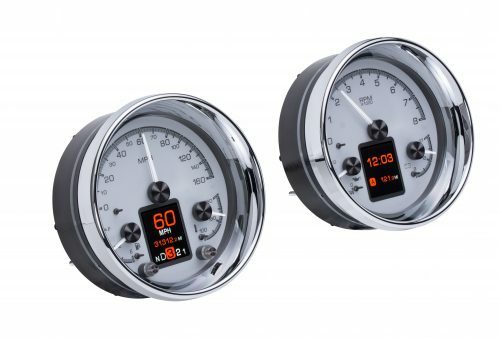 It can recalibrate a 2,000 pulse per mile (ppm) through 250,000ppm electronic speedometer pulse rates, either up or down. 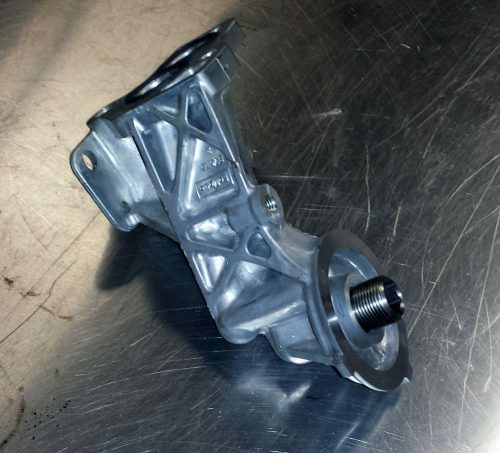 It is great for adjusting aftermarket and OEM electric speedometers on vehicles after changing rear end gears, tire sizes, or drivetrain changes affecting the speedometer. The converter is used as either a signal multiplier (up to 16X) or signal divider (up to 125X), making this unit extremely flexible for almost any application. 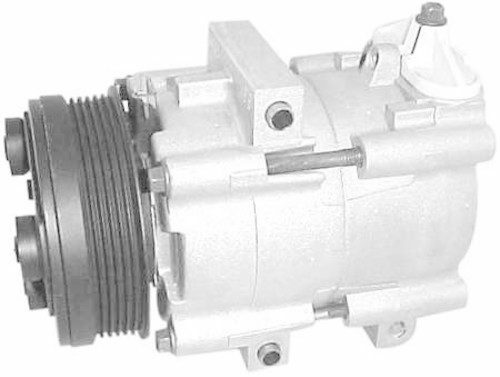 While the converter is intended to correct only the signal feeding the electronic speedometer, in many cases where a speed signal is shared or on a databus, the box can instead correct the signal feeding the engine and transmission computers. 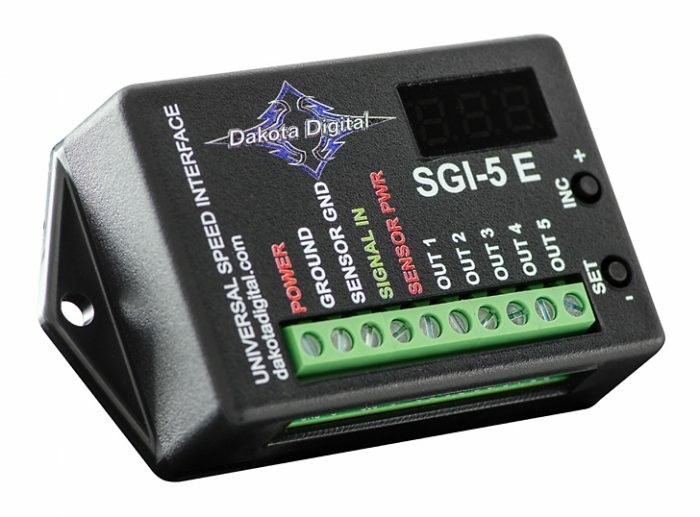 For even greater flexibility, it allows multiplication up to 16x, taking an 8,000 ppm signal and converting to a 128,000ppm output, and includes a regulated 5V sensor output, allowing use of the Dakota Digital SEN-01-5 speed sensor. A built-in LED display and pushbutton switches simplify setup and calibration. 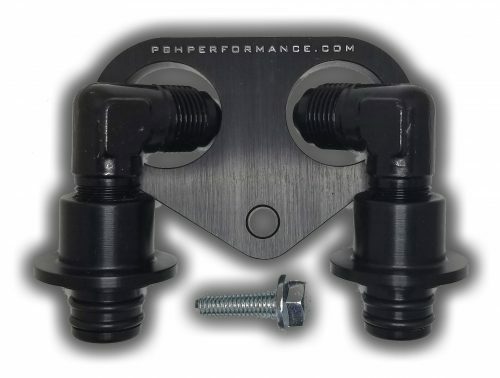 Unit measures 4″ x 2″ x 1″ and is designed to be mounted inside a vehicle.